This is our art gallery in our home. It’s the door to the garage from the kitchen. Juliet figured out that the door was metal (and thus perfect for magnets), so we’ve been using it as a display place in addition to the refrigerator. I’ve recently come across some exceptionally beautiful home galleries and wanted to share the links with you. These places truly inspire me. I love this creative use of office clips for displaying botanical prints. I think it could be easily adapted to display children’s art in the living room. This display of framed children’s artwork is one of my favorite DIY nursery art ideas. All these skills might come in handy when you actually need them in the future. I was always curious about some skills like learning the concepts of carpentry, trading and even trigonometry. Although trigonometry was quite difficult to master, the other two I picked up with basic flair. Now trading has always been interesting and with the evolution of all these technologically equipped trading robots, it has become a rage among all youngsters these days. It is fascinating how a robot could entirely handle all transactions and yield a profit that I have always dreamt of making in my life. It gets interesting further as you read top10cryptorobots.com the application is quite user friendly and easy to use. Scroll down to the bottom of this post to see the corkboard nook. More fabulous painted frames.Magnetic trays anchored to the wall provide an easy-in-easy-out rotating art display. I love the simplicity of a string and clothespins hung above a child’s bed. I’ve been thinking about doing something like this up the stairway wall for a long time. Must find those clipboards! I also like these Ikea wire hangers. So easy for kids to change the art themselves! Which is your favorite? 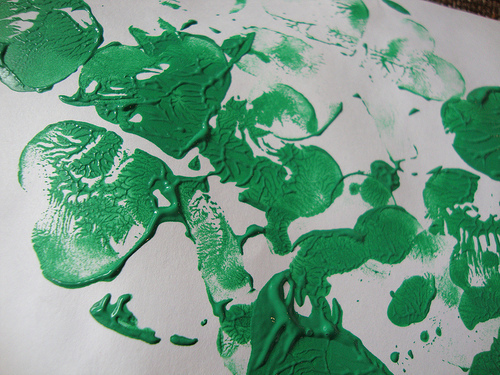 How do you display your child’s artwork in your home? If you have them, please leave links so I can see! Edited: Here are some more links to check out! 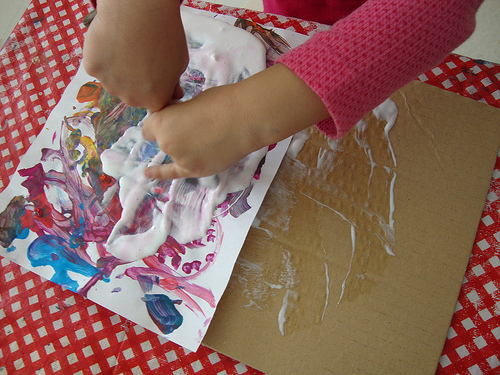 instant art gallery: I love how kids can easily slide their art in and out without having to bother with clips. With spring comes a list of things that we always want to try. Another luxury I want to try is the trading robots that have been quite a rage this season. It is interesting how these robots in top10tradingrobots.com are capable of picking signals on prospective trades and communicating it to traders. It so happens that with the high returns rates these robots have become a fantasy that every trader out there wants to try his luck on. With experienced traders, it becomes easier with the trading robot making all decisions for him. 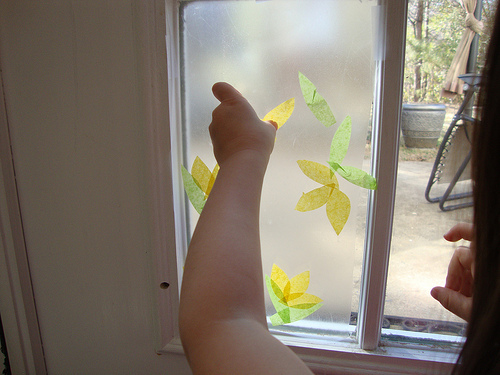 To celebrate and to welcome spring, I thought we would do a tissue paper/contact paper suncatcher craft together. 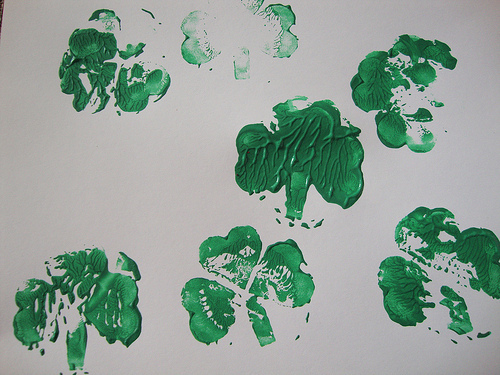 The shapes were really simple–just some oval petals and leaves. If you fold and stack the layers of tissue paper enough, you only have to make a few cuts. 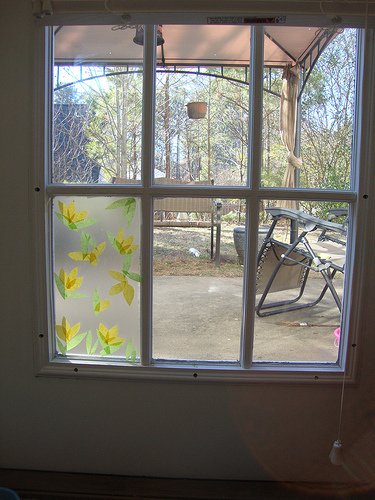 I taped the contact paper to the window pane sticky side out and we were ready to make our crocuses. Three yellow petals seemed to make a nice crocus blossom. Here’s the up close view. And here is the view from a few steps back! Looks bright and cheery, I think. 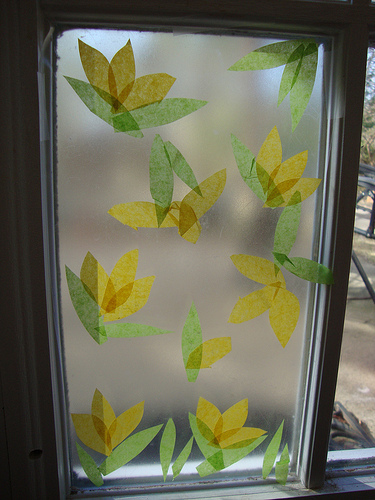 I found a few other fun spring flower crafts that I’d like to try this spring. This books has nothing to do with flowers, but it does have to do with spring, so I thought I’d share it: A Peek-and-Find Adventure with Bobby Bear by Maurice Pledger. 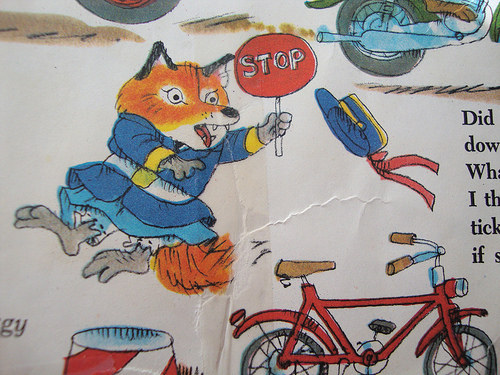 Juliet LOVES this one even though it is probably better suited to 2-3 year olds. She still loves lifting all the flaps. Do you have any spring flower crafts or books to share? 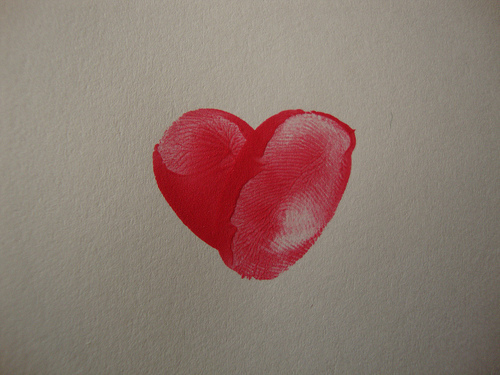 The thumbprint heart. Looks simple enough, right? Now imagine trying to get your I-can-do-it-all-by-myself 4 year old and unable-to-open-her-hands-on-her-own 4 month old to make one…..
Yeah. I don’t have any pictures of that. But it was awesome. And we had red paint everywhere. 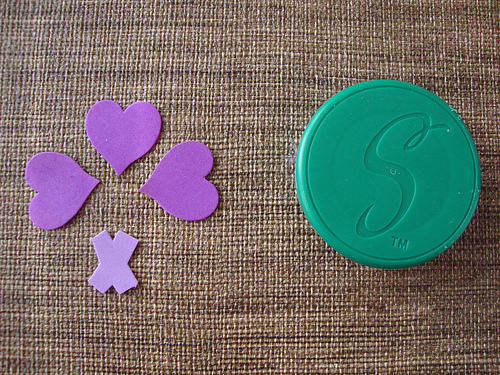 Eventually, I did manage to get something that looked kind of like a heart from both of them. Here’s what I did with my hard-earned winnings. Although I made great outcome out of this, I still am thinking about what I will do with my winnings from an automated trading robot that I have been working with lately. Initially it was ll the curiosity that got the better of me and I had to try and see how it all worked. Once I got around to using the application, I was sure I could do better and earn some profit which otherwise has always been a dream. The trading robots that are available online are certainly a rage these days as what they have to offer is quite attractive. One advantage I could not resist is the high return rate that these applications offer. Also these robots are all free and there is no cost when you use them. One another advantage is how you do not have to install an app on your mobile phone to start using it. There is an app for everything these days and your phone constantly keeps running out of space. These trading applications are all browser based and you can choose to quit using them any moment you want. Also you can read up a lot on the app and the customer experiences as well and then choose to opt for one. Made myself a valentine, that’s what! I cut out their little thumbprint (which actually turned out to be pointer fingerprints) hearts and stamped their initials on each. Then I printed out this lovely family tree (Thanks, Martha!) and glued it onto a tiny canvas. I stamped a b+v in the heart on the trunk and placed it on a picture ledge. Makes me smile every time I see it as I walk down the stairs. 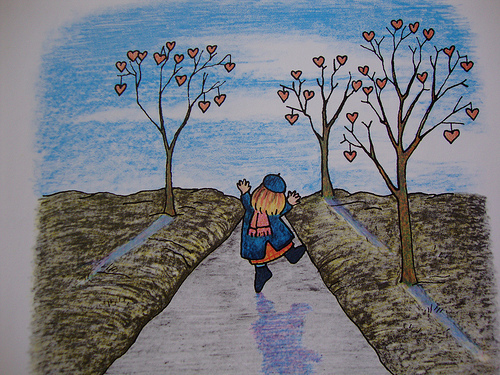 I got the idea from a very creative valentine-maker, Miss Cornelia Augusta, in the book The Day It Rained Hearts by Felicia Bond. Have you read it yet? I hope you can find a copy at your library. It’s a good one. 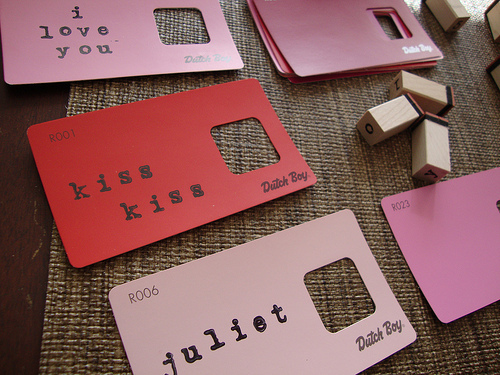 Crafting with paint chips is all the rage these days, so I picked up a few the other day to get in on the fun. It is so much fun when you actually realize that you love doing certain things despite it being a rage or not. Now I had this curiosity and slight flair towards trading for long. Apart from the fact that I was little apprehensive towards trying out and risking my money, I was not sure to enter as I had no big idea on how it works and no knacks or tricks up my sleeve to click that profit that so many people boast about. I read a post about how you definitely need not know much about trading to use this automated trading robot which is also quite a rage right now. This spiked my curiosity further and I had to give it a try. To read more on the robot and how it functions, please click the following post. It comes completely free of cost. Apart from the amount you fund to initiate your transactions, you do not have to pay anything further.It comes with a high profit rate and requires very little participation from your side. She can’t read many words yet, so I needed something simple. And since she likes to carry her mail around with her all day and all night long, I needed something sturdy. 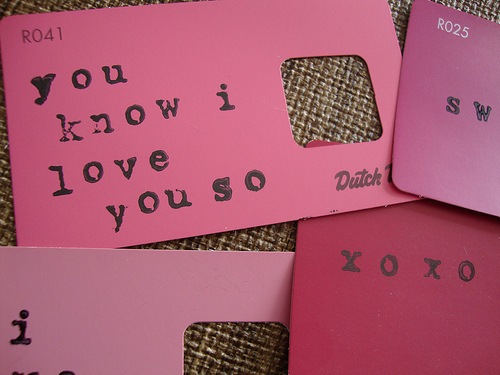 These paint chip valentines are going to be just right. 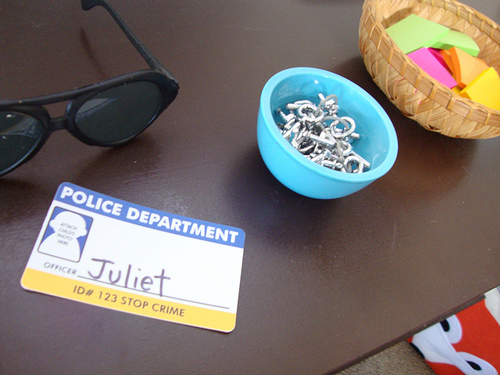 Juliet recently turned 4 years old and we celebrated with her friends by throwing a “police-themed” birthday party. 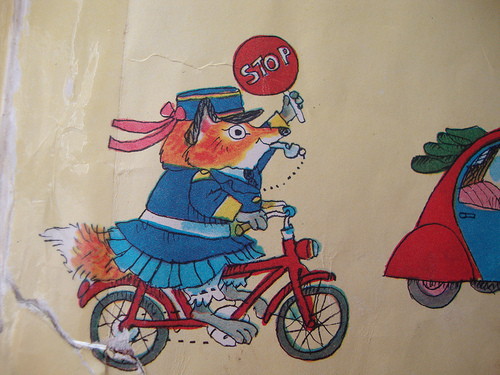 I use quotes because it was very much our own interpretation of a police theme and most of our ideas were based on Officer Flossie from Richard Scarry’s Richard Scarry’s Cars and Trucks and Things That Go . Flossie and Robert (of Robert the Rose Horse fame) are pretty much the only two police characters Juliet is aware of. 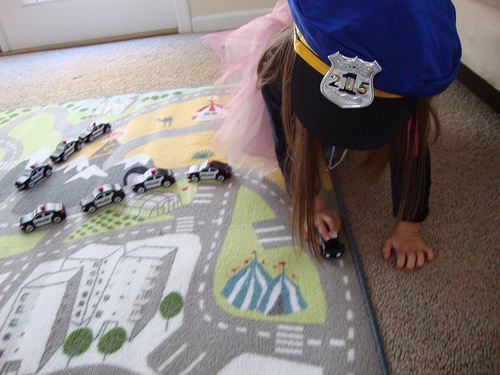 I’m not sure she even knows what real police officers do…but she sure thinks their uniforms and cars are cool. 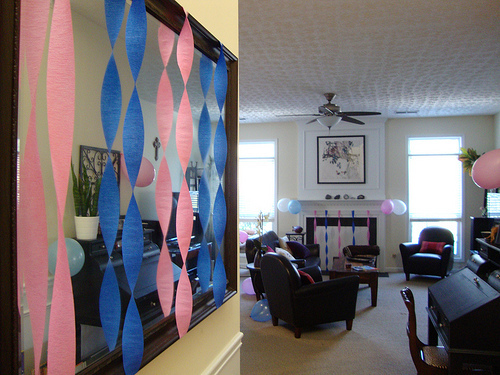 The idea for this party was born exactly one day after her mermaid party last year. She was telling me how much fun she had at her party and I responded by asking her what kind of party she wanted to have next year. 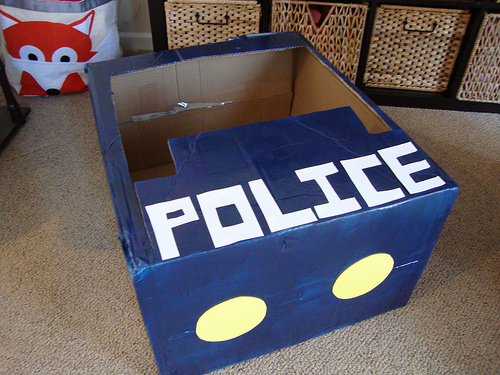 We might have been reading Cars and Trucks and Things that Go or maybe we had just finished it, but somehow the police theme came up and it became something we talked about on a weekly basis for the next 12 months. Every time it came up, more ideas were born and I tried to keep track of them in case she really wanted to go with this in a year’s time. It turns out she did. And she remembered every single details from all our discussions. So I had some scrambling to do once January rolled around and this party of her dreams was drawing near. This is how I plan things for me. I see if am attracted towards an idea and how my thoughts are all about one particular thing until I try my hands at it. Lately it has been about using the automated trading robot which has made me curious. Learn here more about it! Juliet’s costume was my first priority. She was very clear about NOT wanting a regular police outfit–she wanted Flossie’s. I had to do some ebay searching for a navy blazer in her size, but I found one just in time. 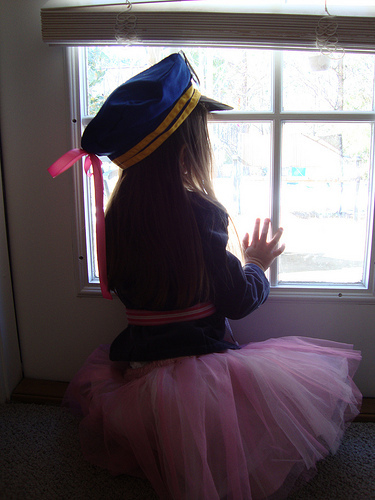 We never found a pleated navy skirt, so we ended up using a pink tulle one that she already owned (It wasn’t hard to convince her to wear something pink since it is her favorite color.) 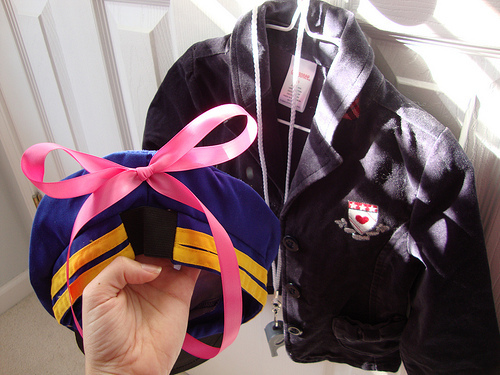 And we modified a regular police hat (gift from her friends) with a nice pink bow–just like Flossie’s. I wish I had found this pink police shirt to go under the blazer before the party–isn’t it cute? A whistle, a belt, and she was ready to go. It turns out police hats are pretty pricey (meaning I didn’t have the budget to buy all her friends one), but I hit the whistle and handcuff jackpot at the dollar store at Halloween. They had police sets which included a whistle, handcuff, keys, badge, walkie talkie, and baton all for $1. I bought one for each child and we were ready to play. The best thing about the whistles (besides the price) is the fact that they didn’t work! 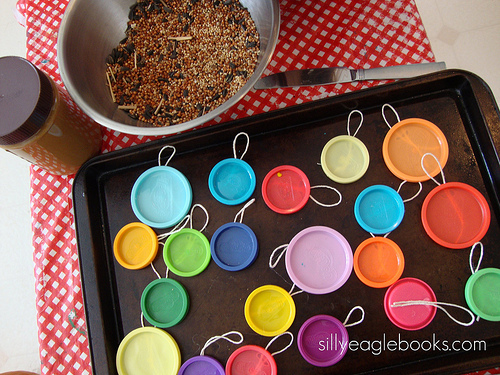 Can you imagine 10 preschoolers running around the house blowing whistles? Nightmare. I was so relieved they didn’t make a peep. The kids each got a whistle and a pair of handcuffs at the door. 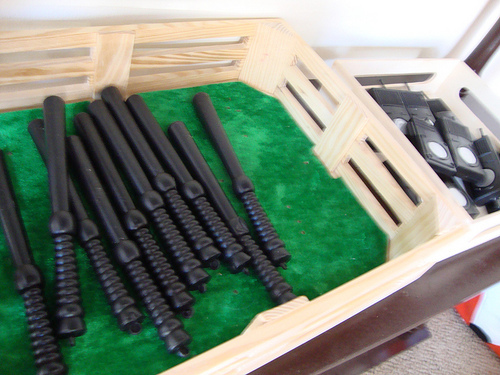 I placed the batons and walkie talkies in the playroom for them to use as they wished. I also put all the keys out and several post it note pads (to serve as “tickets”, but I don’t think that idea caught on very well). 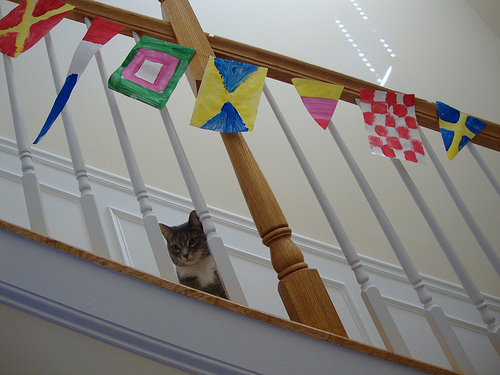 We tried to create some ambiance and bring a little more of Richard Scarry’s world into our home by painting this flag banner (found in the book). 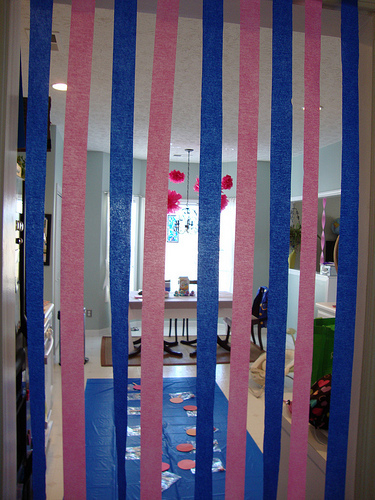 Ben’s my party streamer/balloon expert, so he took care of all the “bars” around the house (sort of a jail bar motif). Here’s the view into the kitchen. You can see the blue “picnic” area for all the kids. 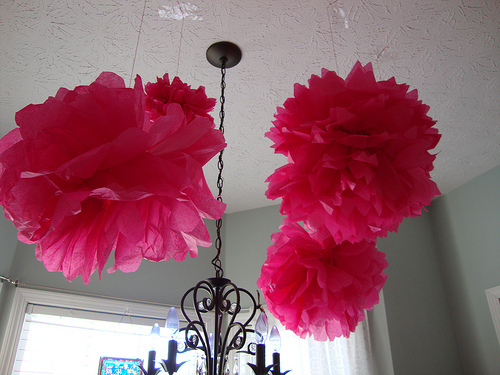 In a nod to Robert the Rose Horse , I tried my hand at Martha’s pom poms….the picture makes them look a lot better than they actually did in real life. While the directions are simple, I found them really difficult to spread and pouf without tearing the tissue paper. Guess I need more pom practice. 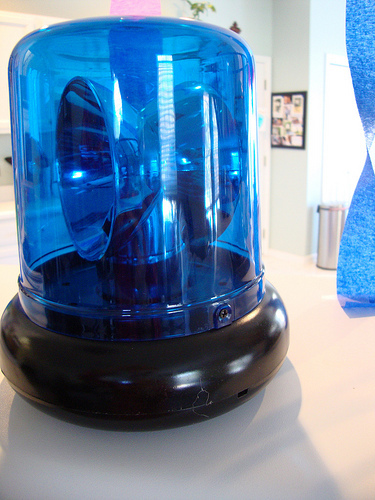 Ben ordered these flashing police lights online and set them up around the house. Not only are they perfect for police parties, but now we can have crazy disco dance parties in the kitchen any night of the week. 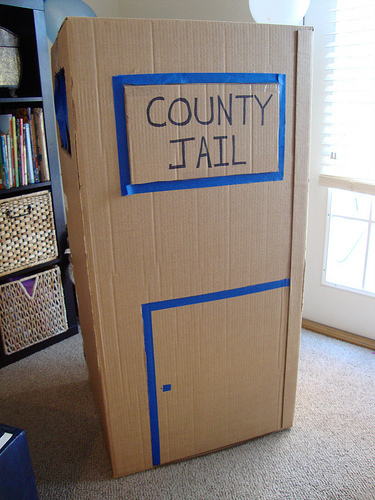 The second most important item for the party was this cardboard box jail! Two days before the party, we still had not found a suitable box. I asked Juliet if we could just use her pink princess tent as a jail if I hung a “jail” sign from it. 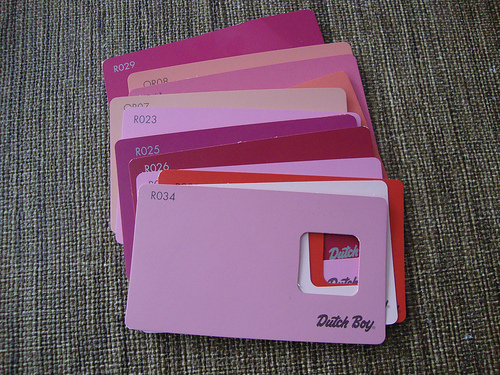 She responded to that with a kind, but firm “But jail’s aren’t pink, mama.” She had me there. So Ben had to drive all over town until he found this one. Whew. Then he did a rock star job of transforming it into a really fun jail with a door, two windows, and even some bars. The kids LOVED it. Remember how I wanted to make a book nook for the party? Here it is! 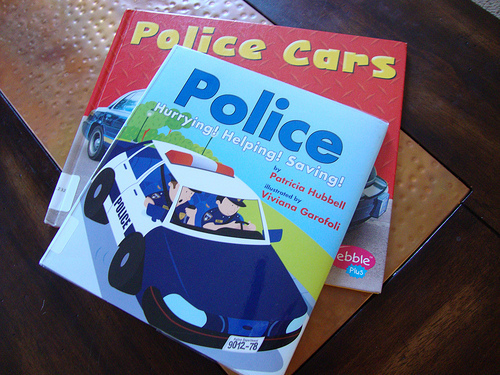 Not exactly what I had hoped for, (turns out there are very few police books in our library) but these two were good. Although, I don’t think anyone looked at them–too much fun going on in the county jail, you know. 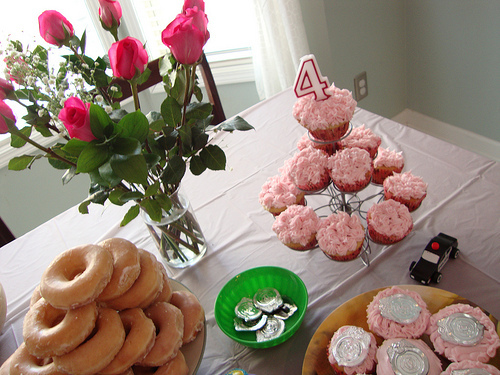 We tried to convince Juliet to just go with donuts, but she also requested pink cupcakes–so we had those, too! The pink roses? Another birthday girl request and Rose horse shout out. Phew. This probably should have been divided into two posts! We had a lot of fun and made some beautiful memories. I’ve been careful NOT to ask Juliet what she wants her 5th birthday party theme to be…I need a break from party planning! Although, she did mention that she’d like a Rapunzel party after attending her friend Lydia’s party just last week……we’ll see what she says next year. You know I love books. 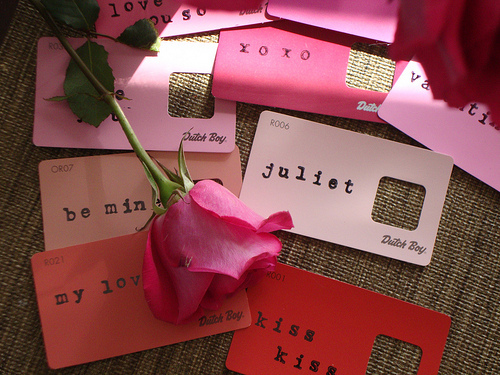 We read so many that they are a huge influence on Juliet and her perception of the world. While mostly a good influence, sometimes they create some humorous situations around our house. Here are a few things that I blame entirely on books. 1. My name is Joe. Yes, you read that right. It’s not Vanessa as you have been led to believe and as my mother has been telling me all these years–well, at least not if you ask Juliet. For the past 3 months, I have been Joe (the kindly fireman in The Fire Cat ) and Juliet has been going by the name Pickles. If you try to address her by any other name, she simply will not acknowledge you. And if I happen to forget that I am Joe, well, let’s just say I get a pretty agitated cat on my hands. 2. My child often speaks in antiquated English. 3. She thinks ZZZs appear above her head when she closes her eyes and pretends to sleep. No matter how many times I tell her that those ZZZs only appear above sleeping people in books or in cartoons, she still insists that I look at her ZZZs while she lays on her bed with her eyes closed. Then she opens her eyes, looks around for the ZZZs and is visibly disappointed to not see them. That is exactly how a child’s expectation is similar to that of us adults. For instance, when I came across an article on top10cryptorobots.com about automated trading robots, I was for a moment visualizing a robot dealing with all transactions and handing me over the cash that it has earned in my place. 4. She yells “Run for your lives!” whenever we walk through the grocery store parking lot. My husband loved the Frog and Toad books when he was a kid and has passed on his love of them to Juliet. She’s picked up several phrases from Toad and one of them is this. Anytime a car is coming towards us, she screams, “Run for your lives!” at the top of her lungs. I grab her hand and we run as fast as we can into the store. What else can I do? 5. She thinks wives are supposed to live inside pumpkins. This one came to surface this fall when Ben and Juliet were deseeding a pumpkin. After they had cleaned it out, she said to him, “Okay. I’m just going to put my wife inside here for a little bit.” It turns out she’s not exactly clear on what a wife is. I would be worried that she would be trying to put me in it when she finally figures it out, but remember, I’m Fireman Joe. So, I’m safe. 6. She narrates her own actions. Sometimes I hear her say things like, “And she dashed into the room!” as she runs into her bedroom. She’s a character in her own story! It always makes me smile. 7. She also narrates conversations her toys have with each other. Instead of just making them talk, she will add, “she said” after they say something. Writing a story will be a cinch when she finally starts school! She’s been writing her own stories in her head since she started playing with toys. 8. 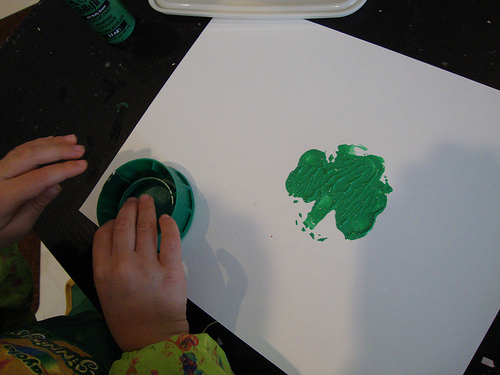 She stamps her hands and feet every time she gets a hold of an inkpad and stamper. Thanks to Bear, Your Manners Are Showing by Kathleen A. Meyer, a story in which a mama bear teaches her baby bear the importance of manners by stamping the words “please,” “thank you,” “you’re welcome,” and “I’m sorry” on his paws, inkpads are no longer safe. Without fail, every time we get the inkpad down for a project, she immediately rips off her socks and begins furiously stamping “her manners” on her feet and hands. It doesn’t seem to bother her that “her manners” are not actual words, but images of ducks, cows, and Tinkerbell, she still insists that they NEED to be there. 9. Her imagination is always on. As well as always having to remember I am Joe (or Princess Jasmine depending on day), I often have to do a little thinking to figure out what she is talking about. A few months ago, I asked her where a certain toy was and she answered, “Oh. It’s downstairs in a hollow tree.” Turns out it was in a basket that was serving as a hollow tree, but somehow I wasn’t aware of that. Good thing I wasn’t looking for my keys. 10. Our cat is not allowed to play with her own cat toys. Thanks to the magic of Leo Lionni’s Alexander and the Wind-Up Mouse , kitty’s two large furry mice toys are now sleeping in Juliet’s bed every night. Why, you ask? Because they are Alexander and Willy–the two lovable mice from the story. I think I could probably go on and on with this list, but let’s stop there. What about your kids? How have story books influenced their lives? 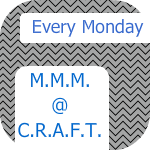 Linking to Top Ten Tuesday at OhAmanda! 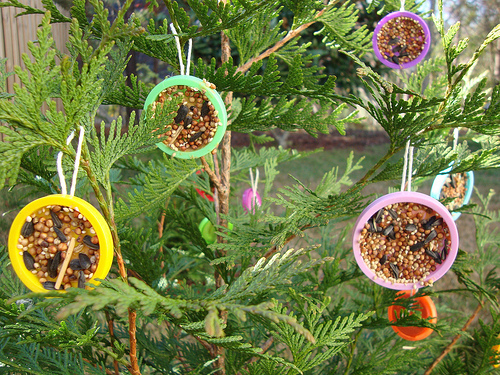 We love slapping peanut butter and birdseed onto just about anything and turning it into a bird-feeder–we’ve used pine cones, pom juice bottles, cardboard, and toast. I can never say I will never! For long I had been thinking I will never get used to anything close to trading. One look at a suggested web page and it got me so curious and interested that I had to go and see how an automated trading robot works! You know I am a habitual bottle cap collector. 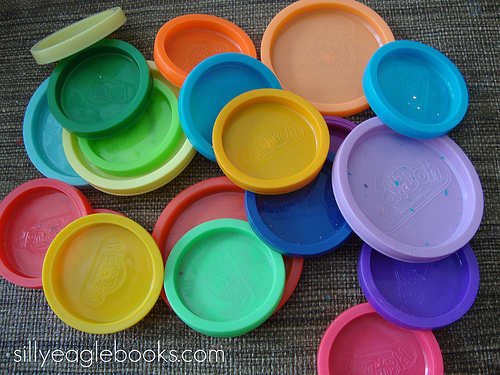 So it should come as no surprise that I have been storing away these play-doh caps over the past two years…I knew they would come in handy one day. 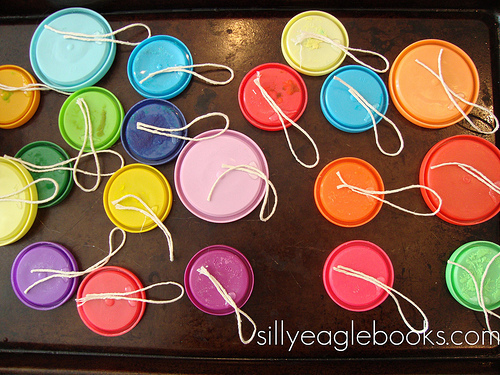 I prepped for this activity by hot gluing string to the backs of the caps to make the hangers. It took about 5 minutes to cut the string and then glue them on. Nothing fancy here. We made Henry Ford proud by setting up an assembly line and getting down to business. 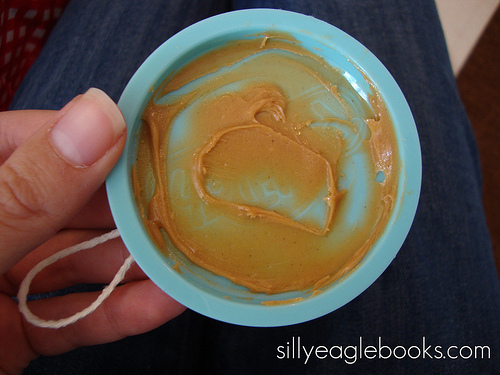 I spread the peanut butter on the caps. 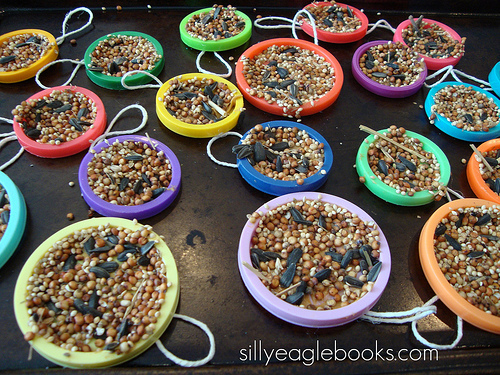 She laid them on the tray–ready for the birds. 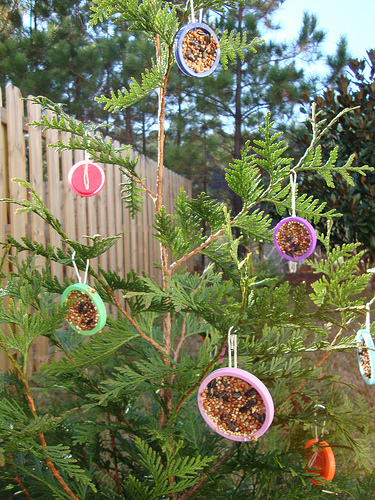 We took them outside and hung them on our mini-Christmas tree. I love how they look like christmas ornaments! We spent the rest of the day peeking out the kitchen window to see if the birds loved our ornaments as much as we did. But they never seemed to be there when we looked outside. The next day, I noticed that about half the ornaments were gone. I thought maybe the wind had knocked them down, however, a few hours later, I noticed more were missing. The next time I looked outside, only one ornament was left. “What is going on with these ornaments?” I wondered to myself. He looked at me straight in the eye and that’s when I knew. 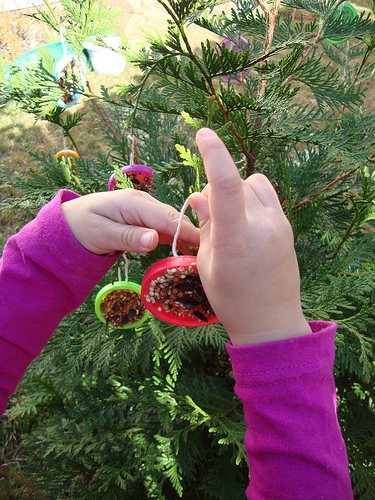 Our ornaments were not bird-feeders. They were squirrel snacks. It seems that they made the perfect little plates for our furry friend! I found the discarded and de-seeded plates strewn about our yard. So much for our dream of seeing birds perching on the branches and enjoying our treats–but at least the squirrel enjoyed them! 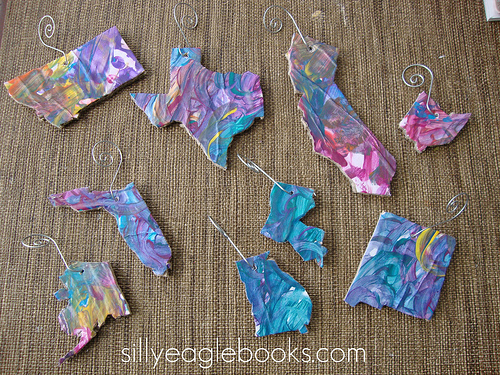 I shared how we made some state-inspired Christmas tree ornaments a few days ago. Today I wanted to share my inspiration with you! Design Mom wrote about a shop called The Curiosity Shop a few months ago and I fell in love with this little beauty…. 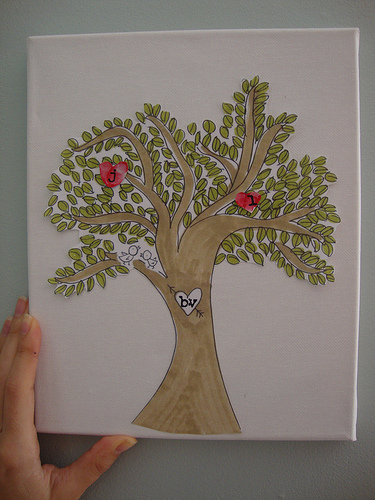 It’s cut from a paint-by-numbers canvas and I thought it was beautiful. I’ve been thinking of how I could recreate it and this is what I came up with! I think that once Juliet starts painting landscape scenes, I’ll mod podge one of those onto some cardboard and cut another few. A series of these would be beautiful–and I’d have an nice record of her art over the years in a fun format. Anything and everything when used in a fun format becomes very interesting even for us, adults. For instance I have been extremely intrigues by the automated trading robot which has been making round for quite some time now. Now a robot which could entirely take care of all our transactions and leave the fun part of withdrawing the profits to us would interest anybody right? Now all he difficult part is handled by the robot and you get to enjoy all the money that too free of cost is not a bad deal. You do not have to even download or install the application on your device and can use it on your browser which is an added advantage. I’ve toyed with the idea of making a few of these as gifts for grandparents–just trying to think of the perfects shape for them. What shape would you do? 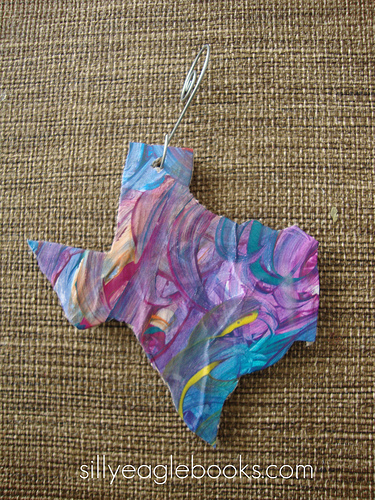 handmade christmas ornaments: celebrate your state! Don’t mess with this ornament. 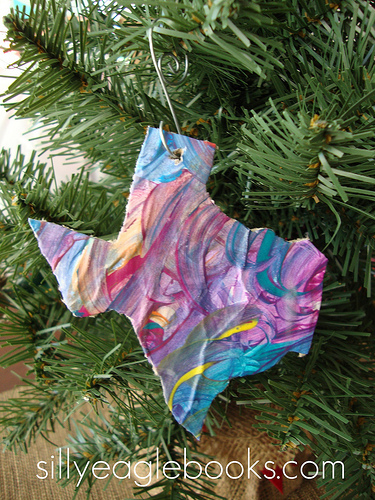 I love making Christmas ornaments–it might be my favorite crafting activity to do. 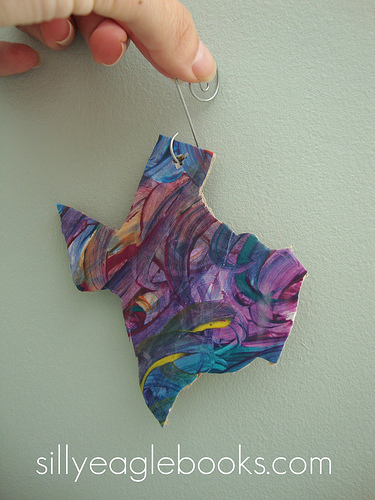 You might remember the 12 days of Christmas ornament project Juliet and I did last year. We crafted most of them out of items from our recycle box. 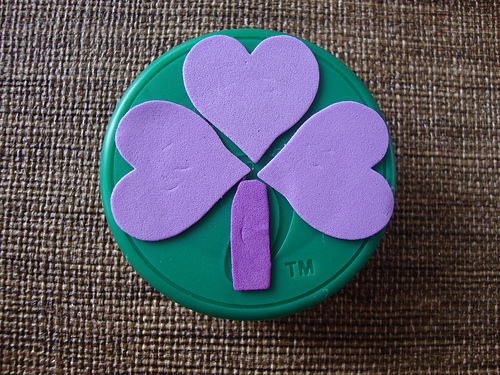 Like last year’s, these ones are cheap, easy, and as always, born from recycle box materials. Daniel Roberts is the creator of automated forex software named Fintech limited. Which is designed to perform automated online trading system with special features unlike other forex robots in the market. Features include controlling of risk level by increasing or decreasing the level of parameters and this can also apply different strategies and technical indicator for making investment. 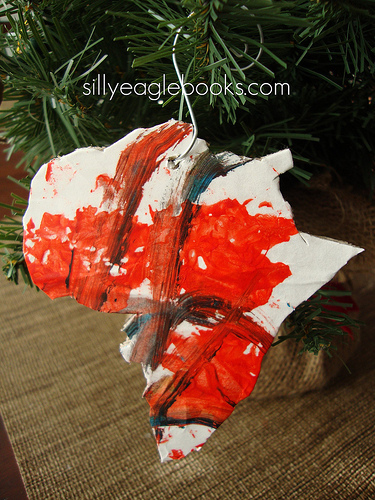 We have a fondness for geography around this house and Juliet is particularly interested in learning the names of different states, so I thought we could make some state-shaped ornaments. 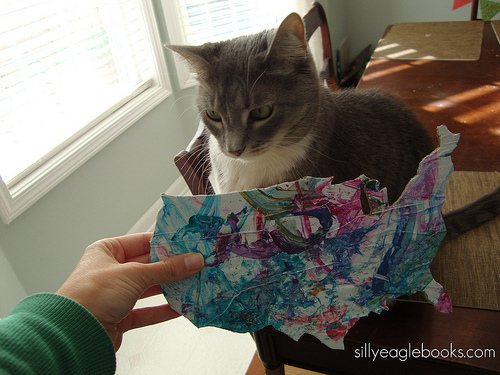 I found a piece of cardboard in our recycle box and let Juliet mod podge a piece of her art to it. (What would we do without Mod Podge?) I also worked on a piece. 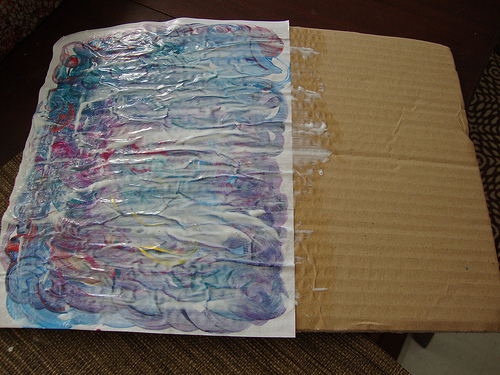 You don’t have to be too concerned with getting the painting smoothly adhered onto the cardboard–a little bit of wrinkles add to the overall effect once it dries. 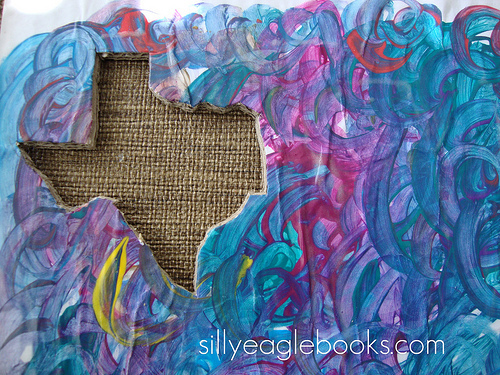 Once it dries, just place your state template on top and secure it with some painter’s tape. 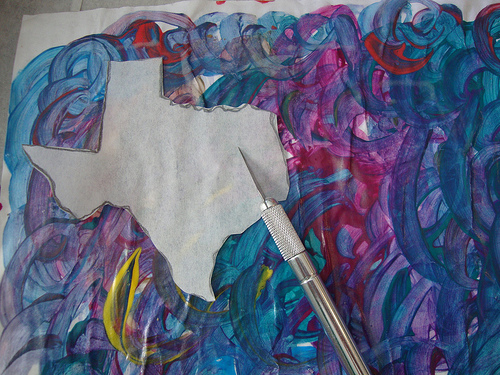 I traced the outline of Texas from a placemat we have, but any atlas or poster would work just as well. And then we hung it on our tree. Why stop at Texas? 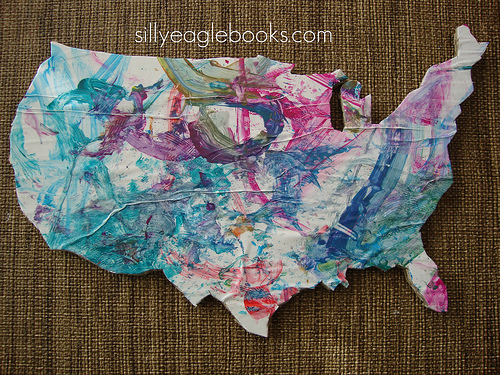 We cut out a whole bunch of different states. Juliet requested Alaska (her favorite), I chose California and Louisiana (because they have nice shapes), and we did a few squarish ones (NM and MT) just to see how they would turn out. You know how Texans are always talking about how everything is bigger and better in Texas? I’ve never been there, so I don’t really know if that is true, but when it comes to which state has the most interesting shape…well, I have to give it to them. Texas really is the best-looking one. 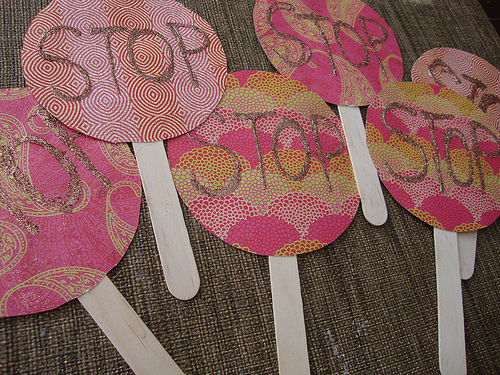 Any shape you can stand to cut out with an Xacto knife would work–I think an owl or giraffe would be cute. You know I love the Good Night Our World Book Series which features many U.S. states and cities in a child-friendly manner. 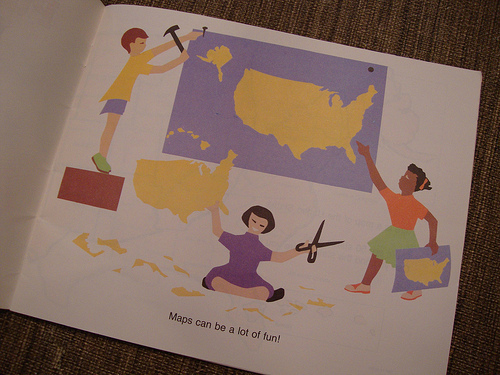 But I just found a really wonderful book called Puzzle Maps U.S.A . by Nancy L. Clouse. 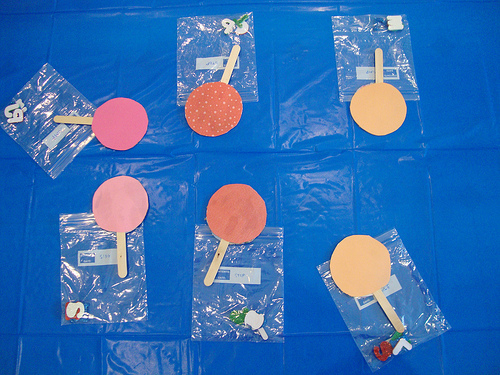 It focuses on the different shapes and then uses them to make different objects like a truck and a turtle. (Kentucky is the head, Oklahoma is the tail, etc…) Then it asks kids to identify the shapes by their names! It’s a lot of fun–which is always the best way to learn anything. What shape would you make? I’d love to see pictures if you end up making these–upload them to our flickr group or leave a link below! 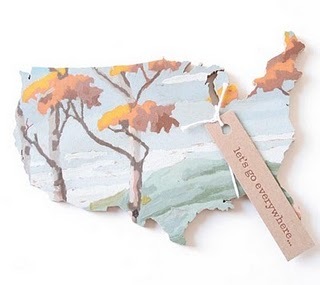 Comments Off on handmade christmas ornaments: celebrate your state!